V.C.A. Registered Breeders of Chihuahuas, Golden Retrievers, French Bulldogs. Dedicated owners and conscientious breeders, mainly of Chihuahuas over recent years, we have bred several breeds of dogs, commencing with Golden Retrievers in 2003. Our Goldens were bred from a line proudly headed by our gorgeous boy, Crowlee Royal Flush C.D.X.(Patrick). Ours is a small, boutique kennel raising our dogs as family members. We show and compete in competitive obedience trials and are involved in obedience and breed clubs. We are situated on several acres in Tanjil South, country Gippsland in Victoria and breed litters only a couple of times a year on average. Puppies are sometimes available to responsible, loving homes. Breed enquiries are always welcome. Please email trulore@dcsi.net.au or call 0351601422/0416219313 for further info. For available puppies, please check our 'Puppies' page. hello! do you have any chihuahuas available right now? Do you have any tibetan spaniel this year and what price please. Hello, looking for a female Golden Retriever puppy, to be a well trained & much-loved family pet. We work & school from home, so would have lots of company! Hi there, we were interested in Golden Retrievers. Just wondering when your next litter is due? No, sorry, we have no Tibbie litters planned until at least the end of the year. Yes, we have 4 kids and our Chihuahuas are great with them. The reverse is also true, though, as children also need to learn to be good with dogs, too! Hi I’m looking for a puppy for a pet/fur baby not for showing. Would I be able to get a price please? 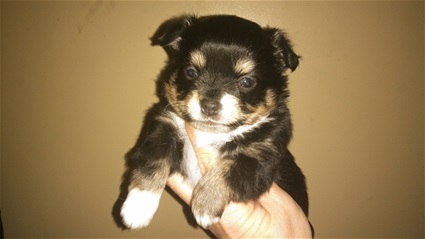 My puppies are generally $2500, whether for show or pet(Limit or Main Reg). Sorry for the slow response, we have been away. We will not be expecting to have babies available for probably 6 months or more. Sorry for the slow reply, we will not be expecting any babies born for at least several months, but best of luck with your search! Sorry, we have no plans for any Golden litters for at least a year. I do wish you luck with your search! Hi, we are a couple looking to add a Golden to our family. Do you have any litters planned in the next 12 months?